Last year, we released Zscaler Likejacking Prevention, a free browser extension to protect users from clickjacking leveraging Facebook widgets. 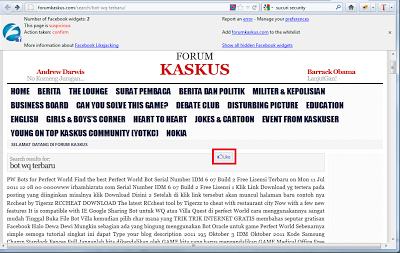 Since then, I've seen many websites using Likejacking as their "business model" (i.e. this is how they get traffic to their spam site). Usually, these spam websites try to get the user to click on a specific area of the page where they have hidden one or more 'Like' buttons. Recently, we found a website where the hidden Facebook 'Like' button follows the mouse throughout the page. No matter where you click, you hit the Like button. The technique to hide the button, has however been seen previously. There are hidden DIV elements with the opacity set to 0.0.1, which makes them transparent, although they are in the foreground. The position is set to absolute so that it can move anywhere on the page. You can get the free Zscaler Likejacking Prevention extension for Firefox, Google Chrome, Safari and Opera on our website.